In the increasingly value-based world of healthcare, providers’ success will hinge on their quality of service – not their fees and volume. The latest driver of the “value-first” evolution is MACRA, or the the Medicare Access and CHIP Reauthorization Act. MACRA has been a hot topic across the healthcare space since earlier this year: On April 27, 2016, CMS released the proposed rule for MACRA, which repealed the wildly unpopular Medicare Part B Sustainable Growth Rate (SGR) reimbursement formula and replaced it with a new value-based reimbursement system called the Quality Payment Program (QPP). The QPP consists of two tracks: The Merit-based Incentive Payment System (MIPS) and Advanced Alternative Payment Models (Advanced APMs). On October 14, the CMS released the final rule to the implementation of MACRA with several important changes to QPP – one of which being a change to the weighting of the different measures used to determine payment adjustments under MIPS (quality, resource use, advancing care information, and clinical practice improvement). The final rule designated 2017 as a transition year in which resource use will not be included in the reimbursement calculation; quality will comprise 60% of the composite score in 2017, instead of the proposed 50%. With that 10 percent uptick, however, comes an important reminder to practices to get not just ready for MACRA, but tech-ready for MACRA. With the shift to quality-first medical billing payments across the healthcare space comes another determinant of provider success: Their ability to collect, measure, and report accurate performance data to the CMS. Despite the impetus to improve their systems for MACRA, not all technologies are prepared for the shift. 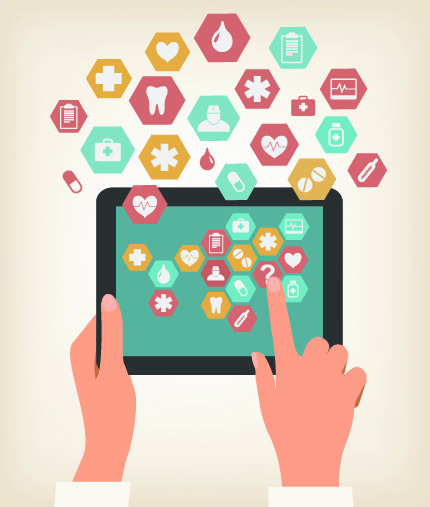 According to healthcare IT consultant Denny Flink of Peak MSO, “there are only a handful of health tech companies that sent out early scouting parties and that have already retooled their EHR to be a partner and not a hindrance. According to some medical billing and practice management experts, however, the final rule is more favorable for those practitioners who were concerned about implementing and reporting on the new measures in the first year of the program. The transition period in 2017 essentially allows for providers to pick at their own pace for that year, helping them shift into the change without as heavy a reporting burden. Nonetheless, it’s important for practices to take a closer look at their tech toolset to ensure they have the functionality and support required to successfully manage the MIPS aspect of MACRA. The chief consideration: Whether their EHR is set up to collect the quality data that will impact reimbursements (and make that data easy to review, digest, and report). If you have concerns, contact your solutions provider now to avoid problems at the start of 2017 – transition year or not. In addition, make certain you have the support of a medical billing service that can help ensure your revenue isn’t impacted by the shift to value-based reimbursements. If you have concerns, contact your solutions provider now to avoid problems at the start of 2017 – transition year or not. In addition, make certain you have the support of a medical billing company that can help ensure your revenue isn’t impacted by the shift to value-based reimbursements.